Amber Trails Daycare Centre | prairie architects inc. 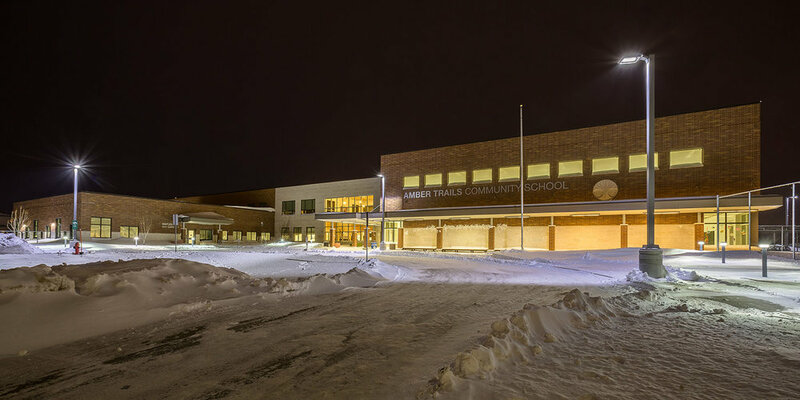 This birth to Grade 8 school was to be a sustainable prototype for other similar schools in Winnipeg. Prairie worked with the Public School Finance Board and Seven Oaks School Division in the design of this prototype. 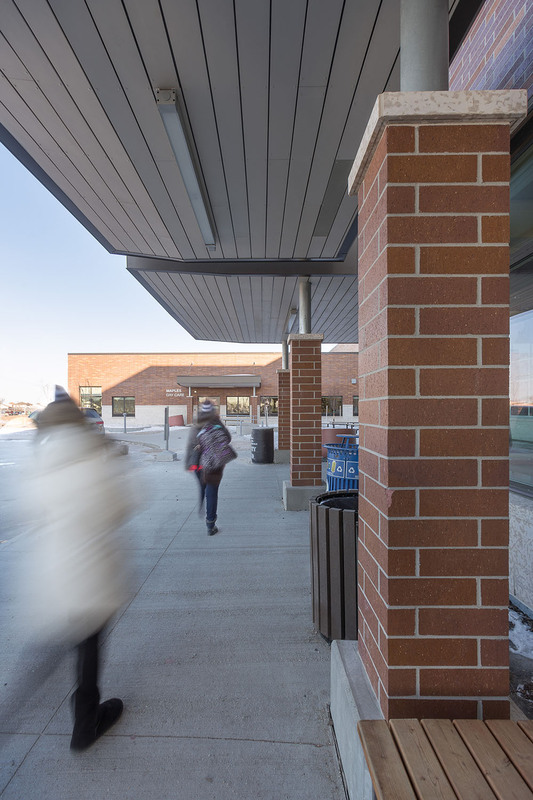 The 78,000 sf facility was constructed in a new north Winnipeg neighbourhood, designed as the heart of the community, includes an integrated daycare centre. The daycare and early learning centre will be at the heart of the school with accommodation for 48 preschool, 16 infants, and up to 40 school age children, and was designed with enough space for baby carriages throughout the corridors.